This unique work challenges the assumption that dictionaries act as objective records of our language, and instead argues that the English dictionary is a fundamentally ethnocentric work. 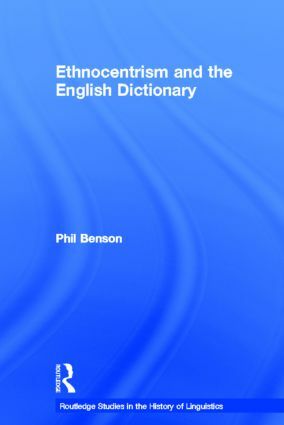 Using theoretical, historical and empirical analyses, Phil Benson shows how English dictionaries have filtered knowledge through predominantly Anglo-American perspectives. The book includes a major case study of the most recent edition of the Oxford English Dictionary and its treatment of China.